Soaring high in the sky, the photographs certainly give a unique perspective. "They open up a new way to look at any environment," says Márton. "With this vision of the Catalonian capital, we’re able to gain a new appreciation for the smaller building blocks of the urban fabric." Márton used a drone to capture these aerial shots of Barcelona in January, after doing his research via Google Earth. 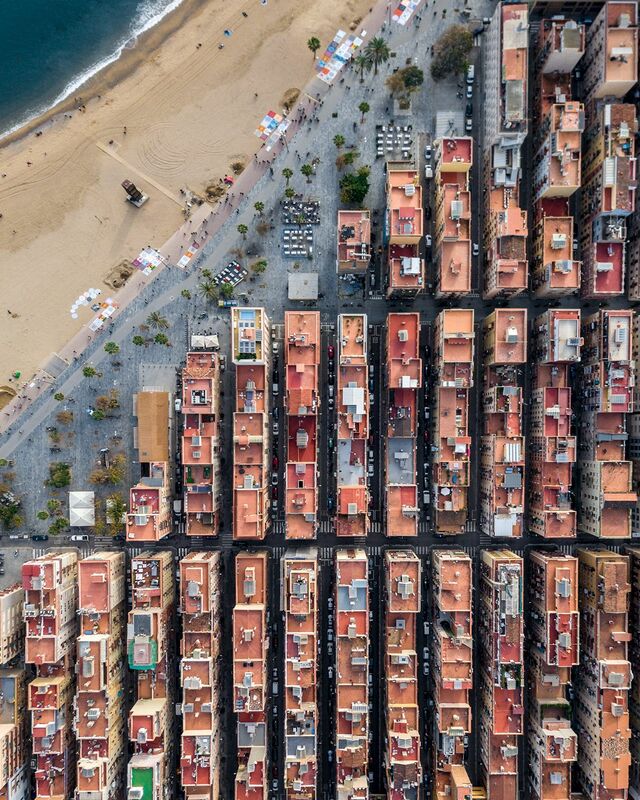 He wanted to go beyond the usual tourist hotspots and uncover a different side to Barcelona, revealing the many beautiful patterns of the urban landscape from above. The freelance photographer from Budapest dedicates most of his time to shooting architecture, aerial, and sometimes urbex as well. Discover more of his work at martonmogyorosy.com. See all Márton Mogyorósy photos . . .